Nantes will be aiming to build on a terrific 2-1 win over Olympique Lyon when they welcome Amiens at their Stade de la Beaujoire-Louis Fonteneau on Matchday 33. Nantes did remarkably well to escape the relegation zone and, no doubt, coach Vahid Halilhodzic can breathe easier ahead of the visit of Amiens. 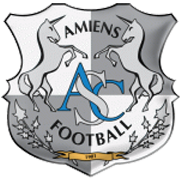 Les Canaris are a real fore to be reckoned with at home and seeing that Amiens failed to score in three of their last four league fixtures, we are tempted to put our money on the hosts. A man to watch in the home team will be Kalifa Coulibaly, who found the net in the 2-1 win over les Gones. Nantes recorded two wins in previous three home fixtures in the French top flight and you should bear in mind that they are eyeing their seventh home victory of the season.